I could not have asked for a better person to capture every special moment at my wedding. Abby did an amazing job on my engagement, bridals, boudoir and wedding photos. I'm so happy with our decision to use Abby Funderburk Photography and I would recommend her to anyone! 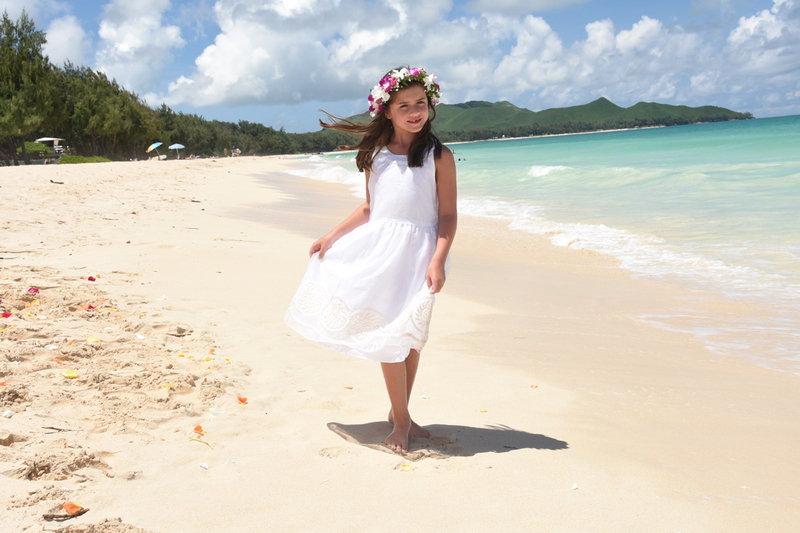 Young bridesmaid on the beach in Waimanalo, Hawaii.